Israel has reportedly agreed to Egypt's request to increase the number of its soldiers fighting ISIS in the Sinai Peninsula. 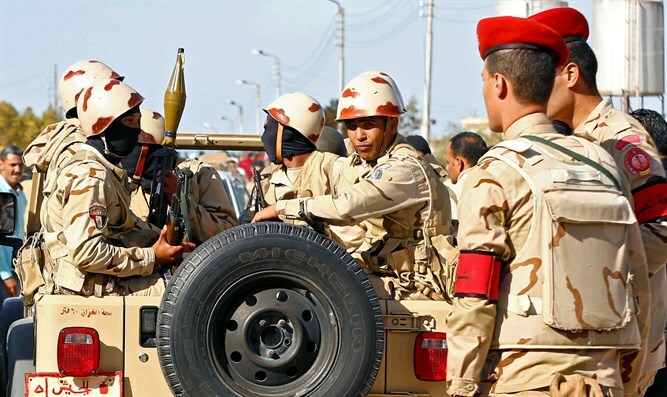 Egypt has more than doubled the number of its soldiers stationed in the Sinai Peninsula to fight the Islamic State (ISIS) terror group, i24news reported Wednesday, citing Israel's public broadcaster Kan. According to Wednesday’s report, Israel has agreed to successive requests from Cairo, leading to a massive accumulation of Egyptian forces in the territory. However Israeli officials told Kan that on several occasions the Egyptian military sent additional soldiers into the Sinai without a green light from Israel, prompting the IDF to file a complaint with the international monitoring force that monitors the peace treaty. Several weeks ago, The New York Times reported that Israel has launched air strikes against ISIS targets in northern Sinai with Egyptian approval.